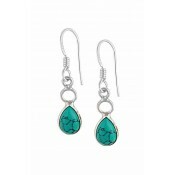 Providing a pop of colour, these gemstone drop earrings are truly unique. 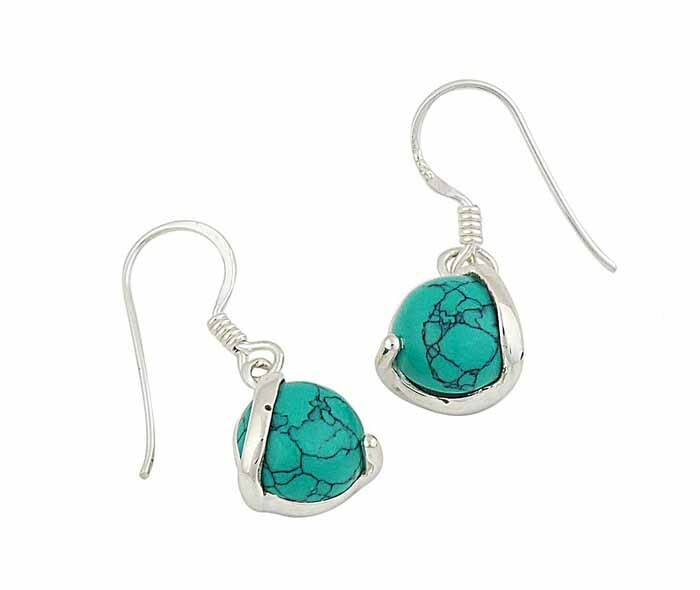 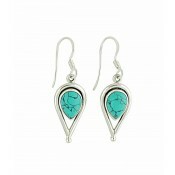 The organically detailed turquoise ball at the centre contrasts well with its sterling silver surroundings. 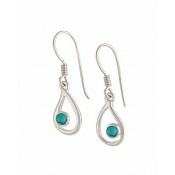 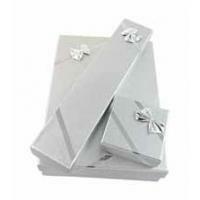 And the hook fitting allows them to be worn all day long.